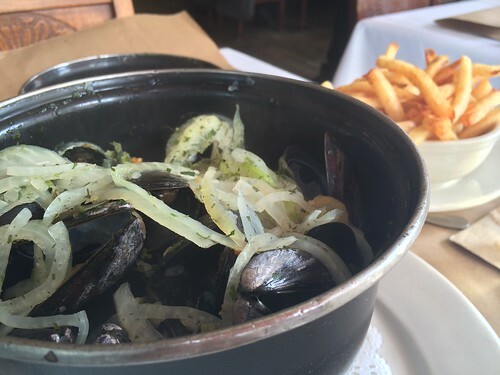 In brief: The french fries here are a delight. Paired with a hot bowl of steamed mussels and a warm September afternoon, just perfect. I was actually craving beef carpaccio, because sometimes I want that tanginess, but then got too lazy walking by Markt. The doors were wide open to the exterior and a bright sun was pouring in. I sat right inside the entry, content to let the voices around me murmur as I read a book and picked mussels out of their black shells.